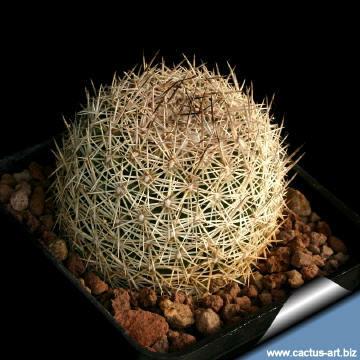 Coryphantha werdermannii PP200 Hundido, Coah. Mx. 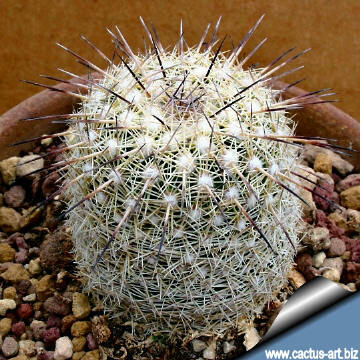 After a youth-stage of 7 to 12 years, with purely smooth radial spination suddenly strong central spines appear on the top, which finally cover the whole body and which are responsible for the wild look. 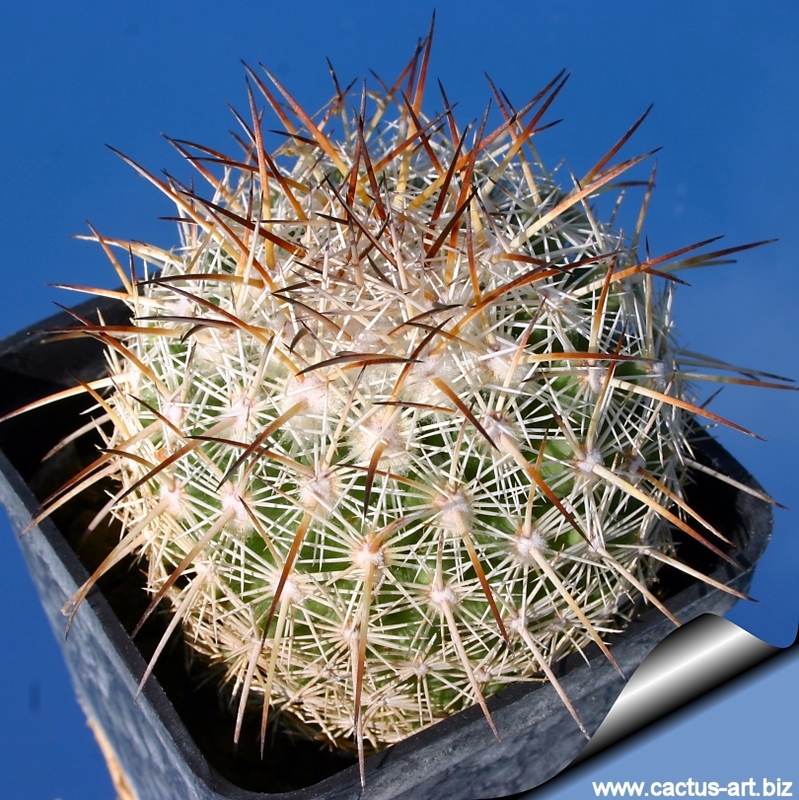 Spines shape and colour are quite variable. This species is one of those Coryphanthas which pass a purely radial-spined long youth stage in which they are already floriferous. 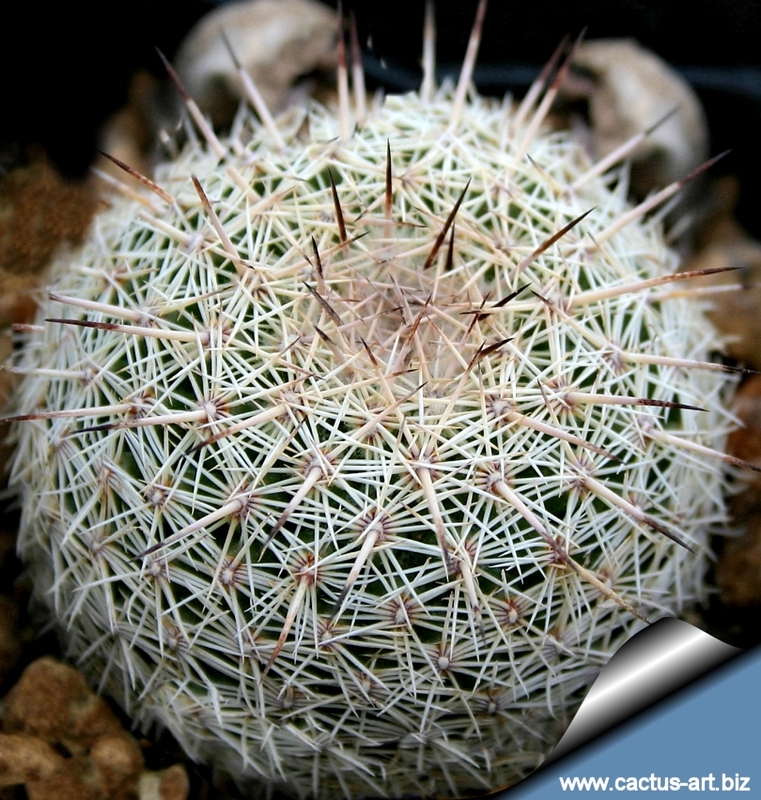 Most of the plants after several years develop the central spines, giving the plant its sea urchin appearance. 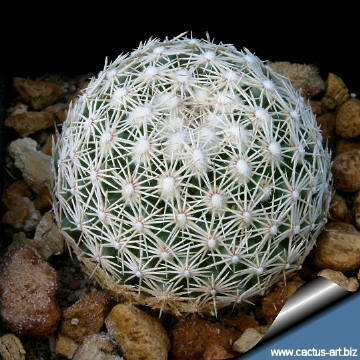 Origin: The species is a regional endemic of Sierra Paila, Coahuila. Reported from south of Cuatro Cienegas, near the road to San Pedro de las Colonias in Coahuila over ca. 80 km along the road in a depth of many kilometres. Habitat: This is the only Coryphantha included in app. I of CITES. In nature it is not endangered at all (a very conservative estimate comes already to ca. 200'000 individuals on the gentle slopes north of the Sierra de Paila) The species grows in 3 different habitat types: Alluvial plain, gravely bajada and limestone rocks. Highest population densities are observed on bajadas. These habitats are in extremely dry regions. 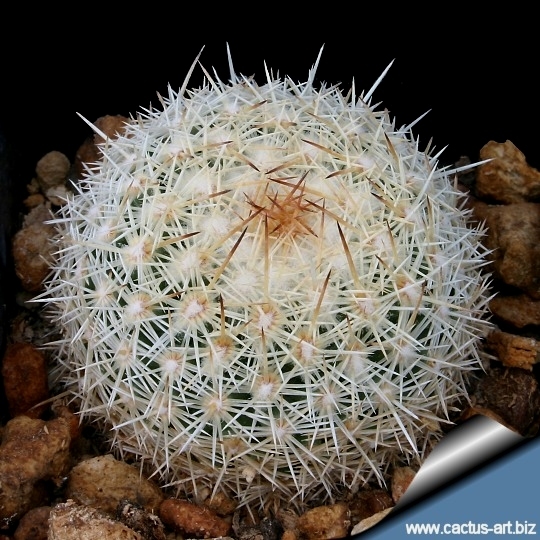 Description: Dwarf cacti with juvenile globose body with became ovoidal as they age. 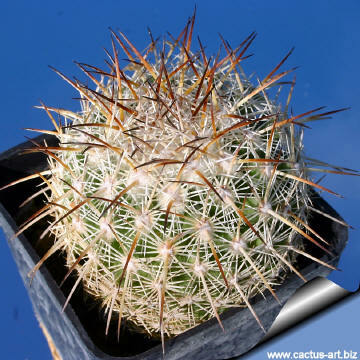 Stem: To 8 (-30) cm tall, diameter about 6 cm. ; Epidermis grey-green. Woolly at the apex. 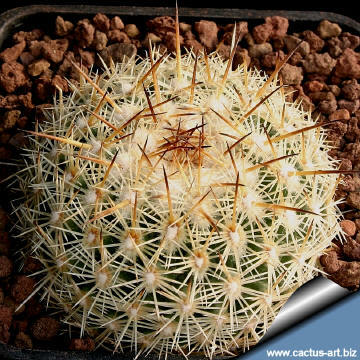 Spines: Centrals 2-4 clear brown (only in mature specimens); radials 15-20 ( o more depending on plant’s age) white. 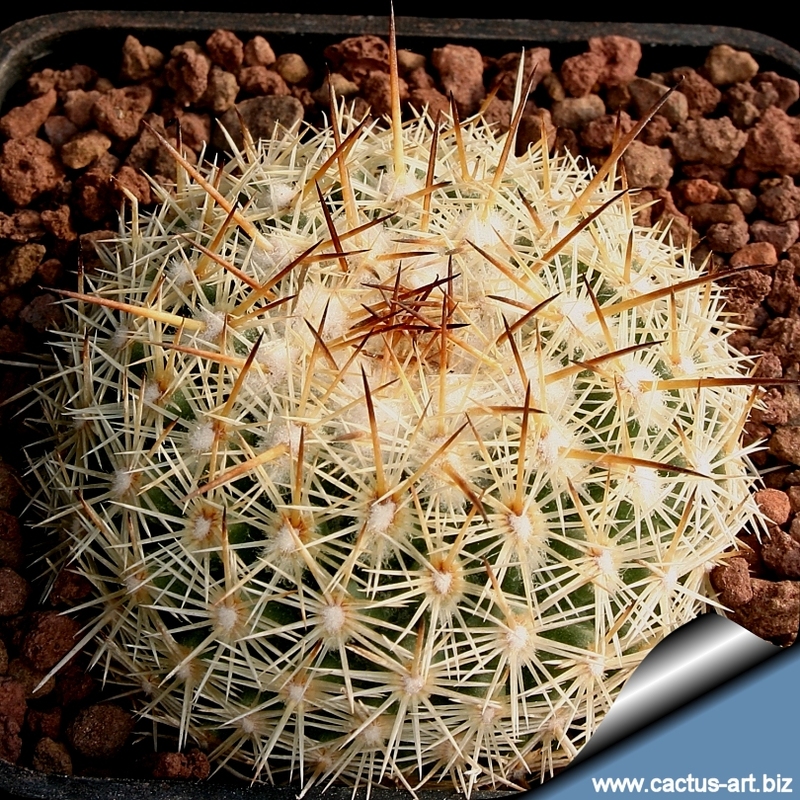 A ten years old seedling but with still juvenile spination. This species is very slow growing and not very willing to flower, in fact they will flower only when they reach the age of 8 to 14 years. 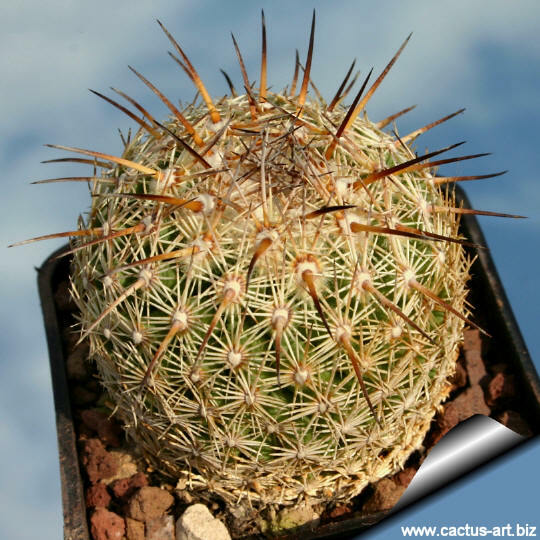 Grow in a mineral cactus compost, requires good drainage. Water in moderation, keep drier in winter. Full sun to partial shade but is tolerant and prefers light shade during the hot Summer months.. Provide very good ventilation. Frost Tolerance: Hardy to - 5°C if kept dry.